In 1931, the Lougheed Highway was completed, giving Maple Ridge a proper cross-town road for the first time. The commercial centre of Port Haney had been growing ever more crowded and there was nowhere to go with the steep hill backing the settlement. The highway opened up the land at the top of the hill and so gradually, the commercial centre made the move up-town. Prior to the coming of the highway, most of central Haney was agricultural with the exception of the sides of 8th Avenue [now 224th Street] and the large section that was formerly Thomas Haney’s land that held the Aggie grounds and hall, and three schools – Haney Public, Haney Central, and MacLean High School. Businesses lined 8th Ave – many built into the front or side of existing houses. In 1936, the “Port” was dropped from the Haney Post Office and it too moved up the hill. 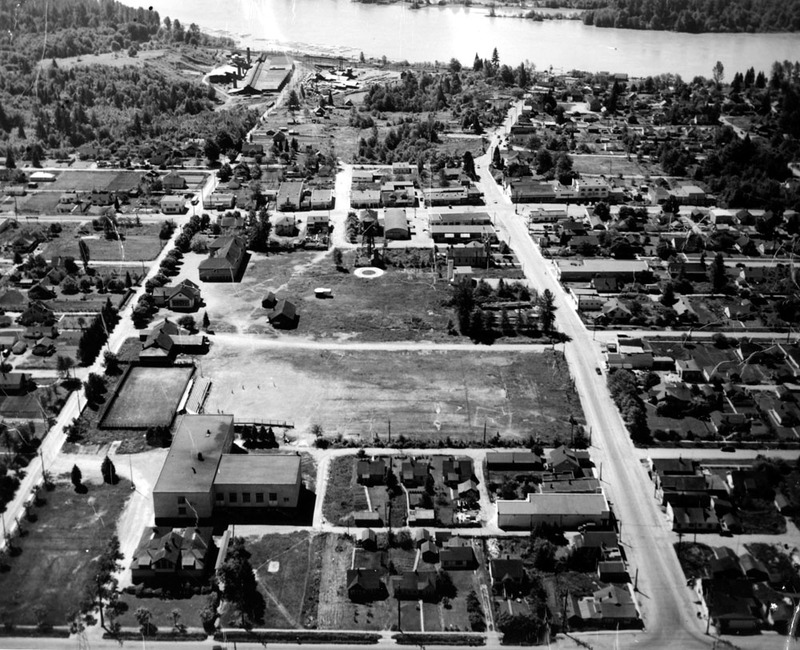 By 1940, what remained in Port Haney was residential or industrial. View archival photos of Central Haney at our Flickr site.